All of our enzyme catalysts are developed and produced in house. This is a great asset to allow us to develop customized biocatalysts for specific targets from our customers. Our catalyst portfolio consists of more than 400 proprietary enzymes, and expands every day as a result of the continuous development from the dedicated R&D team. 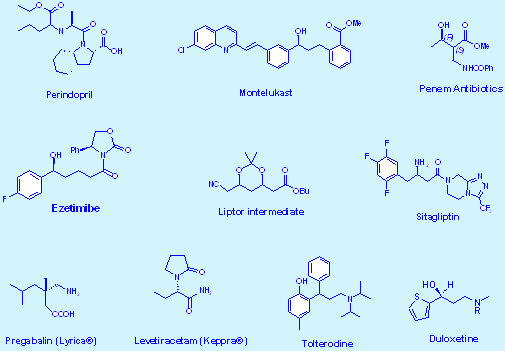 Some of the example APIs, as listed below, can be benefited from our biocatalyst technology. Please challenge us with your targets of interest.